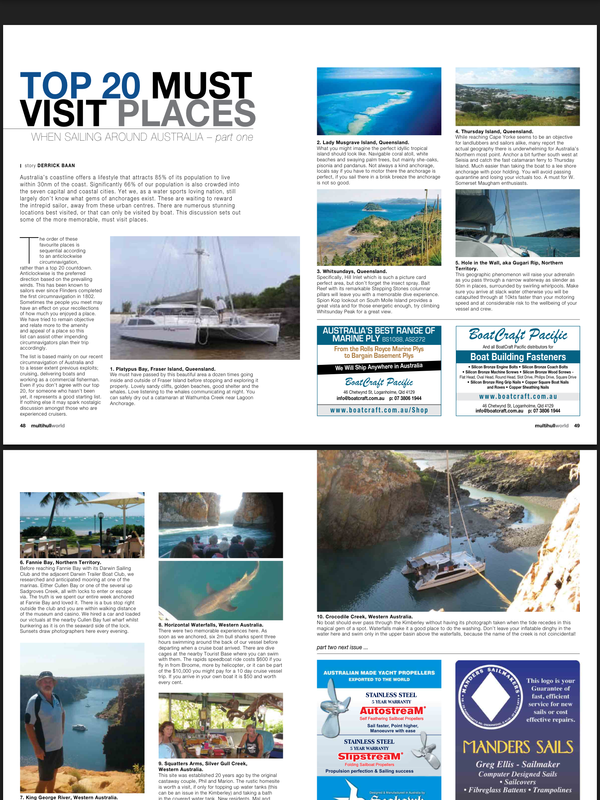 An article I wrote 18 months ago, while sailing around Australia, will be published in Multihull World magazine, edition 144, next month. MHW has a circulation of 10,500. Woo hoo ! Congrats !